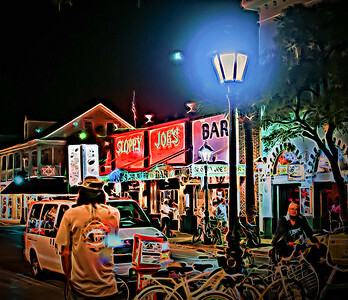 A historic American bar in Key West, Florida. 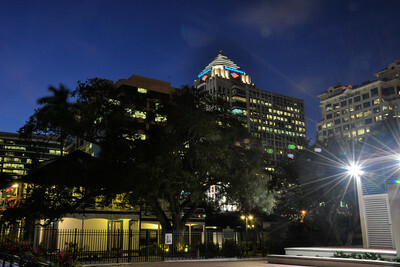 It is now located on the north side of Duval Street at the corner of Greene Street, (201 Duval Street). Founded on December 5, 1933, the bar's most famous patrons were Ernest Hemingway and the infamous rum runner Habana Joe. The original location at the time Hemingway frequented Sloppy Joe's is a few doors down to the west, just off Duval Street, at 428 Greene Street, and is now called "Captain Tony's Saloon". The bar went through two name changes before settling on Sloppy Joe's with the encouragement of Hemingway. 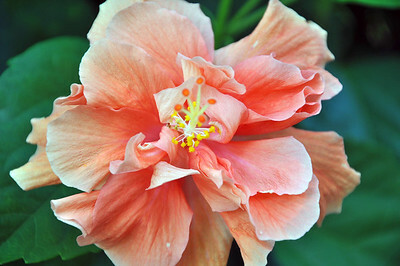 The name was coined from the original Sloppy Joe's bar in Old Havana, that sold both liquor and iced seafood. In the Cuban heat, the ice melted and patrons taunted the owner José (Joe) García Río that he ran a "sloppy" place. The bar is the site of the Ernest Hemingway look-alike contest, started in 1981. It is well known as a tourist attraction, with live bands and slushy drinks. On November 1, 2006, it was added to the National Register of Historic Places. 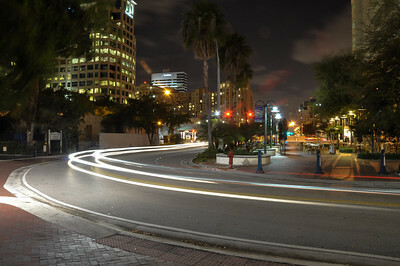 Night image made at Stranahan House,corner of SE 6th Av & SE 4th St, just off Las Olas Blvd. 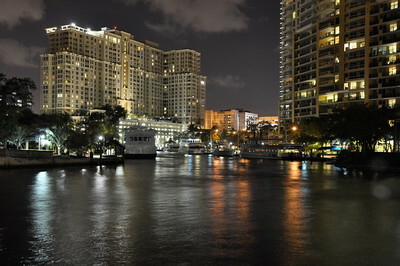 Night photography at Stranahan House, Fort Lauderdale. III he Stranahan House, also known as the Pioneer House, is an historic building located at 335 Southeast 6th Avenue in Fort Lauderdale, Florida, United States. It was built in 1902 as a trading post by Frank Stranahan (1865-1929}, the founder of Fort Lauderdale, who had earlier established a ferry across the New River at this point to carry traffic on the newly built road from Lantana to what is now North Miami (that road is now U.S. Route 1). The building also served as the town hall and post office. It became his home in 1906 when he added a second story and remodeled the existing structure for his wife, Ivy Julia (Cromartie) Stranahan (1881-1971), Fort Lauderdale's first teacher and co-founder, whom he had married in 1900. After her husband's death Ivy Stranahan kept the house, but rented out the first floor to a restaurant. After her death it was devised to the Seventh-Day Adventist Church which sold it to the Fort Lauderdale Historical Society in 1979. After being restored the house was conveyed in 1981 to Stranahan House, Inc., a non-profit corporation set up to preserve and maintain it. On October 2, 1973, it was added to the National Register of Historic Places. 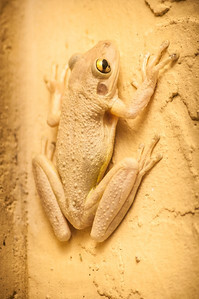 Night photography at Stranahan House, Fort Lauderdale. II he Stranahan House, also known as the Pioneer House, is an historic building located at 335 Southeast 6th Avenue in Fort Lauderdale, Florida, United States. 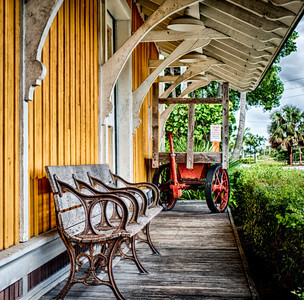 It was built in 1902 as a trading post by Frank Stranahan (1865-1929}, the founder of Fort Lauderdale, who had earlier established a ferry across the New River at this point to carry traffic on the newly built road from Lantana to what is now North Miami (that road is now U.S. Route 1). The building also served as the town hall and post office. It became his home in 1906 when he added a second story and remodeled the existing structure for his wife, Ivy Julia (Cromartie) Stranahan (1881-1971), Fort Lauderdale's first teacher and co-founder, whom he had married in 1900. After her husband's death Ivy Stranahan kept the house, but rented out the first floor to a restaurant. After her death it was devised to the Seventh-Day Adventist Church which sold it to the Fort Lauderdale Historical Society in 1979. After being restored the house was conveyed in 1981 to Stranahan House, Inc., a non-profit corporation set up to preserve and maintain it. On October 2, 1973, it was added to the National Register of Historic Places. 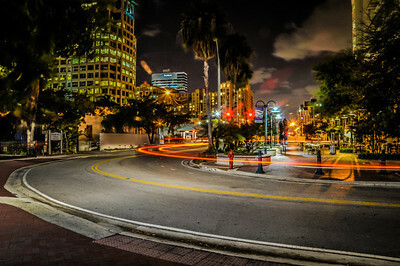 Corner of SE 6th Av & SE 4th St, Fort Lauderdale Night image made at Stranahan House,corner of SE 6th Av & SE 4th St, just off Las Olas Blvd. 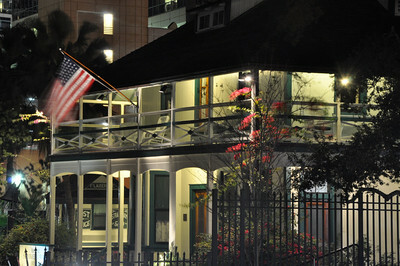 Night photography at Stranahan House, Fort Lauderdale. I he Stranahan House, also known as the Pioneer House, is an historic building located at 335 Southeast 6th Avenue in Fort Lauderdale, Florida, United States. 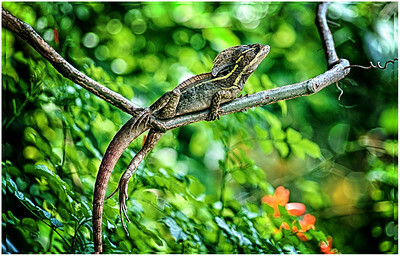 It was built in 1902 as a trading post by Frank Stranahan (1865-1929}, the founder of Fort Lauderdale, who had earlier established a ferry across the New River at this point to carry traffic on the newly built road from Lantana to what is now North Miami (that road is now U.S. Route 1). The building also served as the town hall and post office. It became his home in 1906 when he added a second story and remodeled the existing structure for his wife, Ivy Julia (Cromartie) Stranahan (1881-1971), Fort Lauderdale's first teacher and co-founder, whom he had married in 1900. After her husband's death Ivy Stranahan kept the house, but rented out the first floor to a restaurant. After her death it was devised to the Seventh-Day Adventist Church which sold it to the Fort Lauderdale Historical Society in 1979. After being restored the house was conveyed in 1981 to Stranahan House, Inc., a non-profit corporation set up to preserve and maintain it. On October 2, 1973, it was added to the National Register of Historic Places. Gulfstream Park Racing & Casino is a racetrack and county-approved racino in Hallandale Beach, Florida, in the United States. During its annual meet, which spans December through April, it is one of the most important venues for horse racing in America. Gulfstream Park was opened on Wednesday February 1, 1939 conducting a four-day meeting. The initial meeting had a crowd of 18,000. In 1944, the track was reopened by James Donn, Sr. for a 20-day meeting in December. The Gulfstream Park Handicap was first run in 1946 and the Florida Derby began in 1952. In that year the clubhouse was built and the Grandstand seating was expanded. 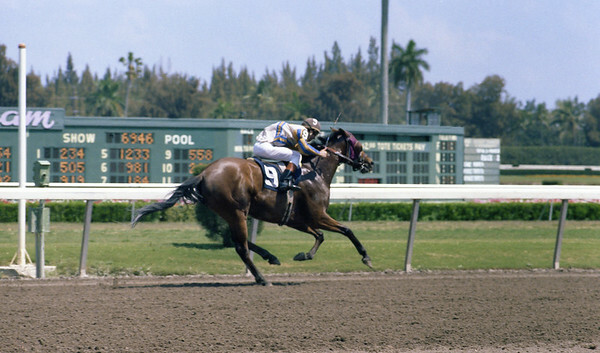 Gulfstream Park introduced turf racing for the first time in 1959. In 1952 the clubhouse was erected and a new addition was put on the grandstand. It also marked the first running of the Florida Derby. The following year, the Florida Derby became the first stakes in Florida with a $100,000 purse. 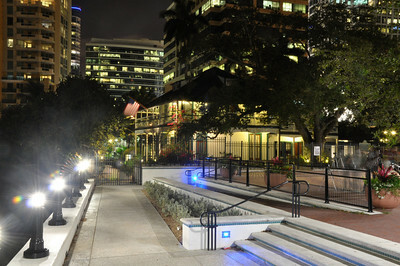 Night image made at Stranahan House,corner of SE 6th Av & SE 4th St, just off Las Olas Blvd. 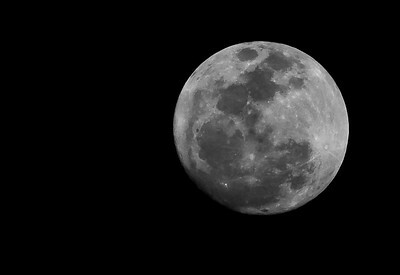 Night image made at Stranahan House,corner of SE 6th Av & SE 4th St, just off Las Olas Blvd. he Stranahan House, also known as the Pioneer House, is an historic building located at 335 Southeast 6th Avenue in Fort Lauderdale, Florida, United States. 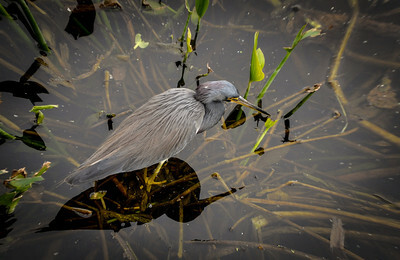 It was built in 1902 as a trading post by Frank Stranahan (1865-1929}, the founder of Fort Lauderdale, who had earlier established a ferry across the New River at this point to carry traffic on the newly built road from Lantana to what is now North Miami (that road is now U.S. Route 1). The building also served as the town hall and post office. It became his home in 1906 when he added a second story and remodeled the existing structure for his wife, Ivy Julia (Cromartie) Stranahan (1881-1971), Fort Lauderdale's first teacher and co-founder, whom he had married in 1900. After her husband's death Ivy Stranahan kept the house, but rented out the first floor to a restaurant. After her death it was devised to the Seventh-Day Adventist Church which sold it to the Fort Lauderdale Historical Society in 1979. After being restored the house was conveyed in 1981 to Stranahan House, Inc., a non-profit corporation set up to preserve and maintain it. On October 2, 1973, it was added to the National Register of Historic Places.